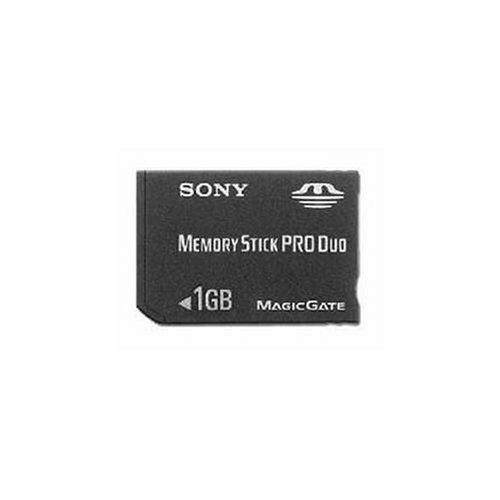 The MSX-M1GS Memory Stick PRO Duo media from Sony gives you maximum storage for your compact digital camera, portable audio device, or PSP Handheld Entertainment System. With a huge total storage capacity of 1 gigabyte with 940 megabytes available1 and an wide operating temperature range of -13 degrees F to 185 degrees Fahrenheit, the MSX-M1GS provides you with durable, high capacity storage for your digital files. With the included adaptor, the MSX-M1GS can be used in most devices that use full-sized Memory Stick PRO media2, making it perfect for both your older devices and the latest electronics.